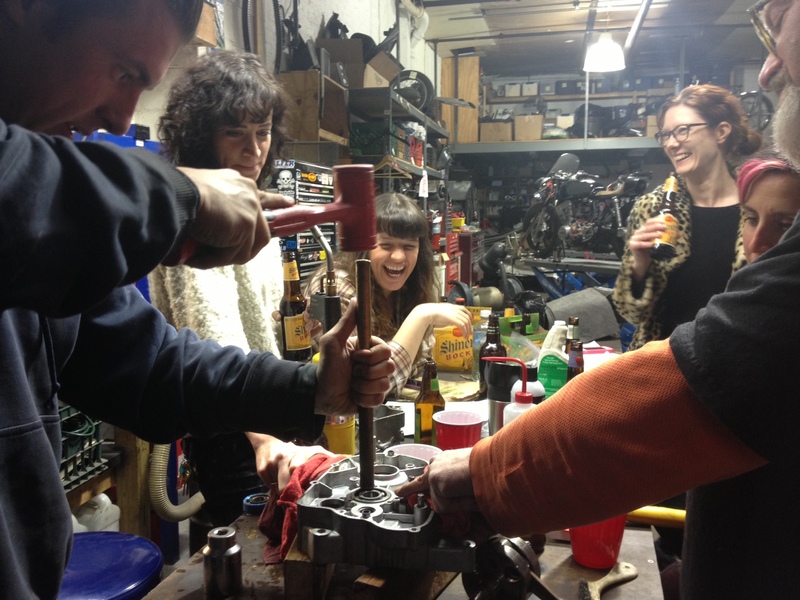 This Monday night’s addition of Project Dirtbike (the engine rebuild of my 1971 Yamaha At1 125), over at MotorGrrl, focused on Bearings. We determined they needed to be replaced as they felt ‘gritty’ when turned. 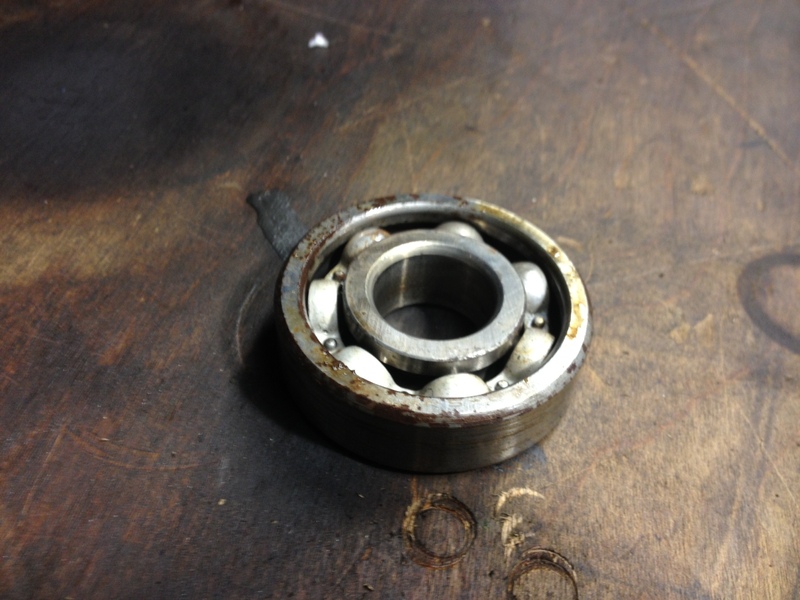 Once extracted, we we pleased we decided to replace them as there was a good amount of dirt between the case and the bearings. no good. 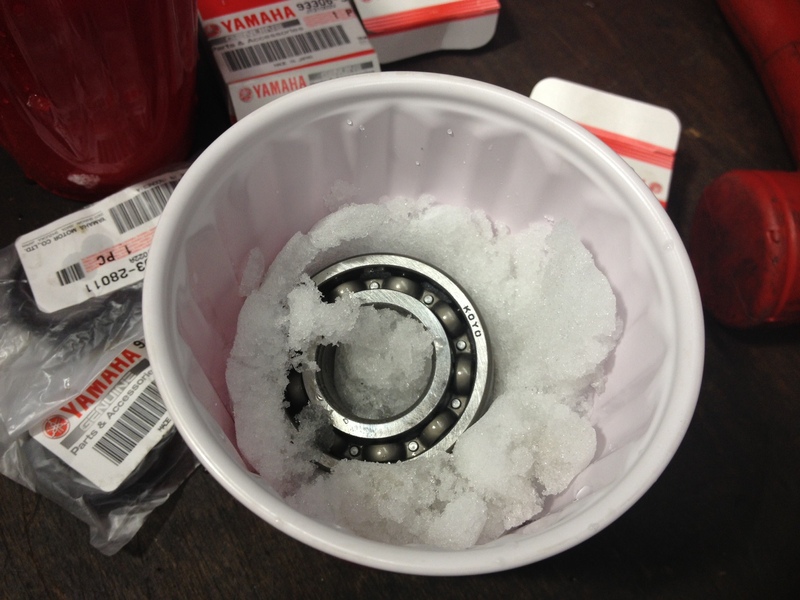 The basic procedure for installation is to freeze the bearings for a day or two, to shrink the metal. We pulled them out of the freezer a few minutes too early…so we kept them on ice, literally. 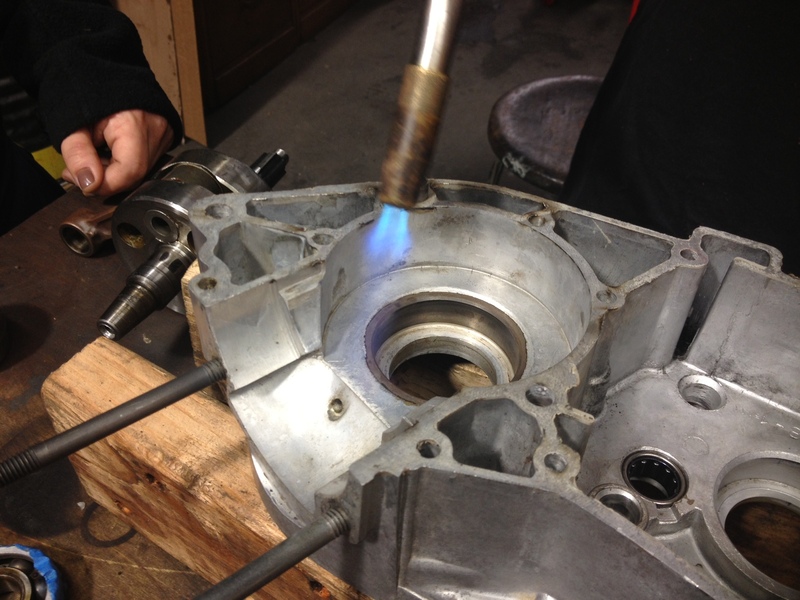 Meanwhile, the cases were heated to expand the metal, so that the ‘shrunken’ bearings drop right in. Of course this doesn’t always work perfectly the first time, and Ross and Slade were kind enough to show us some tricks of the trade for perfect, flush installation. Thanks guys! This entry was posted in Project bikes, Wrenching and tagged dirtbike, garage, garage day, garage girls, garage night, motorgrrl, the miss-fires, the missfires, vintage motorcycle, vintage motorcycles, winter projects, wrenching, yamaha, yamaha at1 125. Bookmark the permalink. Looks to me like they’re gently tapping them around and around.